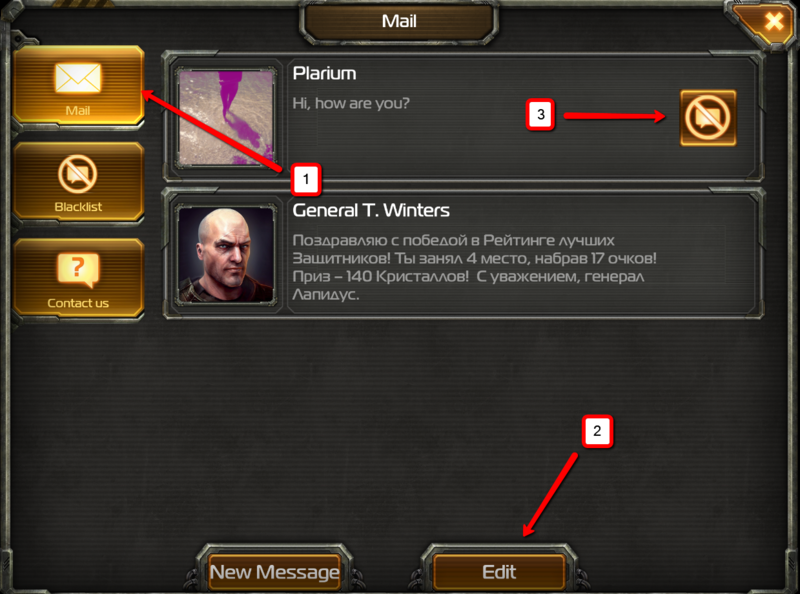 If you do not wish to receive messages from certain players, you can block them and add them to your Blacklist, thereby preventing them from messaging you. You can also remove players from your Blacklist at any time. Be advised that you won't see any messages from players you've blacklisted in the Global and Clan chats. To Blacklist a player, tap "Edit" in the "Mail" section, and tap on the button that appears next to the player's message. You can remove players from the Blacklist by going to the "Blacklist" tab in the "Mail" section.